Why settle for mediocrity when you could go for more in A’Gaci. A’Gaci is a female lifestyle retailer that sells trendy clothes, dresses, shoes, socks, caps, and other female accessories. Its main target is the young fashionistas. The company started in 1972. What was once a simple boutique in San Antonio Texas is now one of fashion’s fastest growing brands. The brand is known as an online haven for shoppers. The company also has more than fifty trendy stores across the United States. It has two notable sister brands: O’Shoes and Boutique Five for a more complete and satisfying shopping galore. Multiple benefits await employees The employer takes care of the needs of the employees giving sufficient insurances, financial and retirement plans, leaves, family and parenting support, as well as perks and discounts. Most of the reviews from employees praise the employee discounts. This is a big thumbs-up to the female employees. The environment is fun; the people are friendly. The dress code is strict but it doesn’t hinder the comfort level of the employees. How Old Do You Have To Be To Work At The A’Gaci? The minimum age to be a company employee is 16 years old but some states allow employees as low as 14 years old, as long as they have work permits. This is good news to the younger, but equally driven individuals. Allocator: Allocators are assigned to ensuring the allocation of receipts to new and existing stores based on inventory plans. They also analyze and identify current trends based on the sales. A good grasp on numerical concept is required for the job. Graphic Designer: Responsible in creating designs in all areas of the company including marketing, signages, social media, e-blasts etc. A degree in graphic design is a must for the position. Photographer: The name pretty much covers the job description. An A’Gaci photographer must be able to work in a fast-paced, high-volume environment. They must also be able to assist in styling when needed. Buyer: The purpose of being a buyer is to deliver the sales and profit plan for select departments. He/she also makes sales analysis to make recommendations. Applicants have a strong grasp on fashion, and can keep up with the trend. Recruitment is ongoing in the company. With a new store opening in Las Vegas, the number of openings just skyrocketed. Backroom coordinators, construction people, managers, merchandising planners, fashion consultants are just some of the job openings of A’Gaci. The application process is long and can last up to a month. Applicants are given application forms in the stores. Entry-level positions are the easiest to accommodate. Online application is not only available, but encouraged. The company has its own recruitment hub on their website. There you can find different openings from different locations. See the link below. The application form is your first shot at showing that you are right for the job and deserve to be shortlisted for an interview. While everything is to be considered, the competency-based questions are where you get to showcase your talents. Promote yourself precisely and generously without going too boastful. Interviewers get more resumes that you can imagine. The first opening seconds of reading can get yours to the table or to the trash so create powerful opening lines. Remember K-I-S-S—Keep It Short and Simple. Focus on your achievements and avoid generalizations. Always keep in mind that you are applying for a fashion brand. Dress up for the interview in a trendy yet professional attire. Be sure to have sufficient knowledge in clothing terminologies. Know a romper from a jumper. The company is a brand created for young, female fashion lovers. Expect the culture to be just like that. From the music to the terminologies, the culture at A’Gaci stores is just like the hallways of your high school, minus the books. Fashion not only covers clothing, but also body decoration. In 2016, A’Gaci Nails opened its doors to the public which offers manicures and pedicures, eyelash extensions and skin care solutions. This is evidence to company’s commitment to fashion. 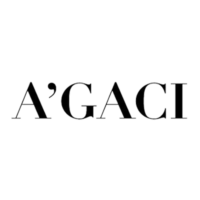 A’Gaci is big on online marketing. Numerous links can be found on various websites offering coupons and promo codes. This is a good place to look for discounts to that dress you’ve been eyeing. This holiday, A’Gaci, together with different retail stores, launched Goodshop Sunday. It is a shopping holiday where you can get discounts in buying presents for people, and at the same time give back to charity. It’s the perfect triple threat for the upcoming holiday season.